Officials said the flooding had not reached the nuclear reactors damaged in the 2011 disaster, when the NPP was hit by a tsunami that had been caused by an earthquake. The nuclear disaster at Fukushima, which took place over four years ago, was dubbed the worst since the 1986 Chernobyl nuclear accident. Earlier on Friday, Tokyo Electric Power CO. (TEPCO), the company in charge of the damaged NPP, said that one of the holding tanks on the premises of the plant has been leaking drainage rainwater into the ocean. Later in the day, TEPCO said the leakage had been stopped. According to the company’s website, there have been several similar cases in recent days. “On September 9th and 11th, due to typhoon no.18 (Etau), heavy rain caused Fukushima Daiichi K drainage rainwater to overflow to the sea,” TEPCO said, adding that the samples taken on Wednesday “show safe, low levels” of radiation. Chief Cabinet Secretary Yoshihide Suga warned that the rainwater drenching the crippled Fukushima No. 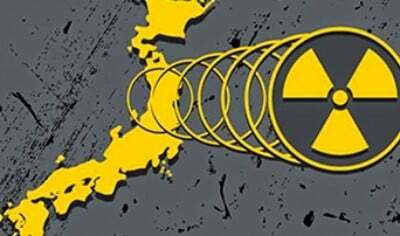 1 nuclear power plant could flow into the Pacific Ocean, the Japan Times reported on Friday. However, he told reporters that the radiation level of such rainwater would be “sufficiently below” the legally permitted level. TEPCO said on Friday it will continue to monitor the ocean to “ensure the water quality” and has taken “multiple precautionary measures” to protect the ocean water nearby. Tens of thousands of Japanese people were ordered to leave their homes across the country as typhoon Etau hit Japan this week. The flooding resulting from the torrential rains has been dubbed the worst in 50 years. As a result, three people have been killed, 27 injured and 26 are still missing across Japan. Meanwhile, Japan officially restarted the No. 1 reactor of the Sendai nuclear power plant for the first time in two years on Thursday. The reactor resumed commercial operations after receiving the approval of the Nuclear Regulation Authority (NRA). Kyushu Electric Power Co., the operator of the Sendai plant, plans to launch the plant’s No. 1 reactor in mid-October. After the disaster at Fukushima on March 11, all nuclear reactors in Japan were shut down. Due to electricity shortages, two reactors at Kansai Electric Power’s Oi plant in the Fukui Prefecture were temporarily restarted. However, they were taken offline again in September 2013.